I think we can all agree that Marist College has some amazing professors. Many have incredible background experience in their profession and an admirable way of teaching that can inspire students every day. What many students don’t realize is that these professors who we have come know within the walls of Marist College are the same people who have unique talents and aspirations outside of being a professor at Marist. I know what you’re thinking. What? Are you saying that professors have lives that don’t revolve around…teaching? Check out these five professors at Marist who have some pretty amazing talents that don’t necessarily go hand in hand with what they teach. Colin McCann (far left) and brothers. Photo by Colin McCann. Anyone who knows Professor McCann knows that he has an energetic personality, making all of his classes interesting. However, what many students might not know is that he is the drummer of an Irish Celtic fusion band called MacCana. His band, which consists of himself and his three younger brothers, started performing in 2005 and has since created a studio CD and performed at multiple different gigs. MacCana has also established quite a fan base. 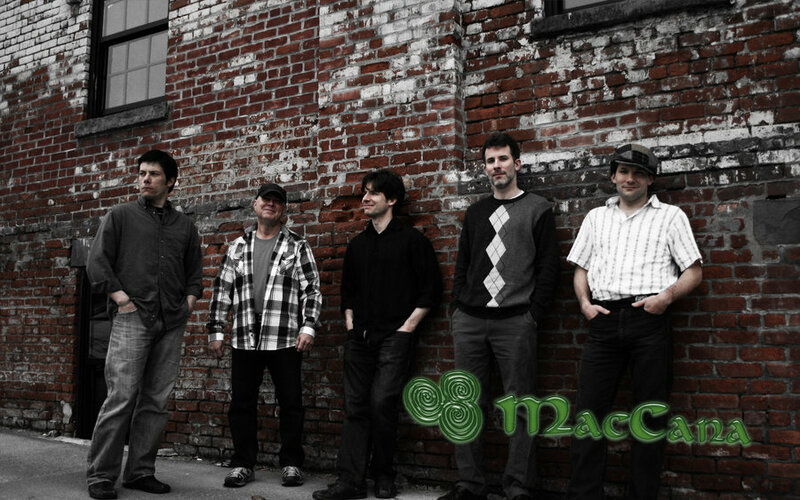 MacCana, which plays mostly traditional Irish songs, is the house band for Mahoney’s. They also perform at a variety of local bars, parties, and weddings. Although he says he is very humbled when his students show interest in learning more about him and his band outside of class, he says it is always a little funny seeing them at one of his shows. Due to everyone’s busy schedules, the band usually only gets to play together once every couple of months. However, McCann says that he has no regrets in his decision to become a professor. Cathleen Muller performing accordion at the theater. Photo by Cathleen Muller. How many philosophy professors do you know who have previous experience working in the circus? Muller first became interested in the puppet circus in college, where she wrote a paper about the theater and was later offered an internship position. 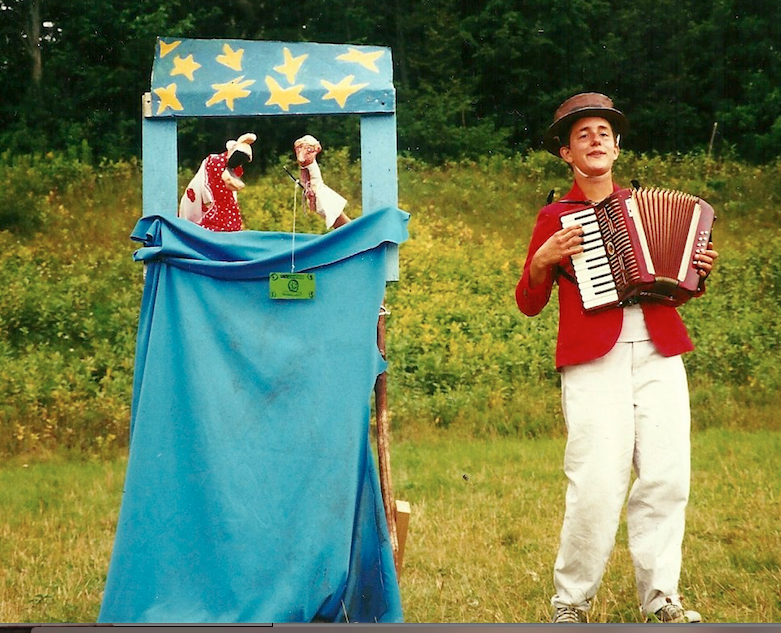 She then worked part-time at The Bread and Puppet Theater for five years and put on shows for hundreds of people each week. 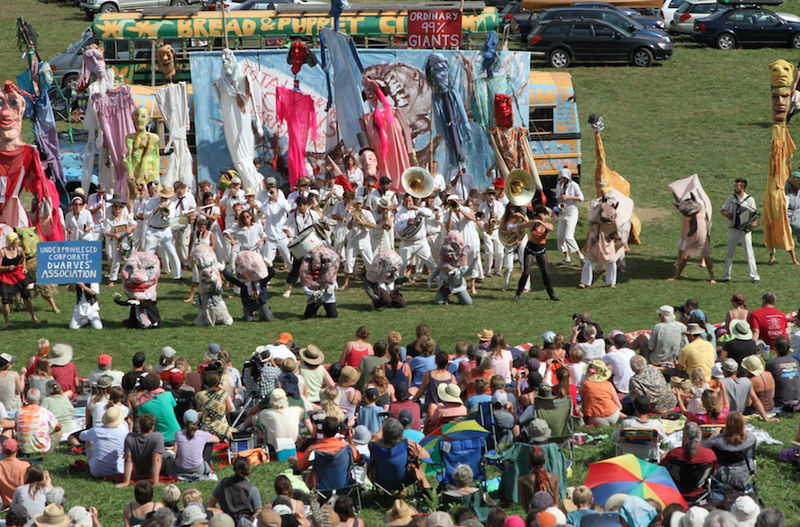 Bread and Puppet Theater during an outdoor showing. Photo by Cathleen Muller. Muller, who says that she rarely talks about herself, admits that most of her students are pretty shocked when they find out. While Muller is very busy with her new baby, she says that performing is something that she still loves. Dr. Machacek has composed five raps of his own, three in the voice of Shakespeare and two rap versions of the plays Hamlet and Macbeth. He first began rapping a few years ago. He was teaching his students about rhythm within Shakespeare and one night, while scrolling through the channels at home, he stopped at MTV and listened to the popular rapper Eminem perform. Before rapping to his students, he performed at an English majors event, where he rapped to the tune of Eminem in the voice of Shakespeare and got very positive feedback from his colleagues. He then began incorporating his raps into the lessons he taught at Marist. Ryan Rogers is just like every other Communication Professor at Marist College. Except for the fact that he has previous experience in boxing, used to be in a punk-rock band, and is also part of a pretty intimidating trivia team known as “Trivia Newton John.” You know, the usual. 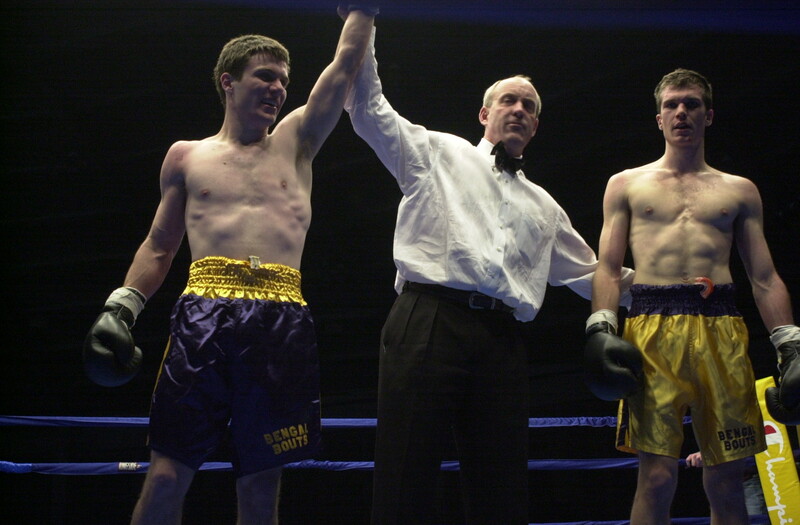 Ryan Rogers after being announced the winner during one of his boxing matches. Photo by Ryan Rogers. Rogers first got involved with boxing during his freshman year of college at Notre Dame, where he joined the schools boxing club and participated in many tournaments. In addition to competing in boxing tournaments, Rogers also played the base guitar and sang (or as Rogers likes to put it—“yelled”) in a punk-rock band during his late high school and early college years. 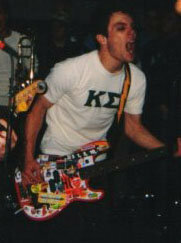 Ryan Rogers performing with “The Grabois.” Photo by Ryan Rogers. Lastly, Rogers and a few of his friends (including Danny Zuccaro—a Marist alum from the class of 2006) are currently part of a trivia team that has a pretty impressive record. Think you have what it takes to compete with Trivia Newton John? Test your trivia knowledge at the Newburgh Brewery on Wednesday nights. Dr. John Galbraith attended Colorado College where he received his BA in Chemistry. What many students may not know is that Galbraith, who has been skiing since he was three years old, took a semester off during his college career so that he could join the Squaw Valley USA Freestyle ski team. He then trained with the team six days a week and competed in the mogul event of Freestyle skiing competitions across Northern California and Utah and was nationally ranked in the top 100. Around his junior year of college, Galbraith realized that he would have to make the difficult decision regarding whether he wanted to fully commit to mogul skiing or chemistry. If you hadn’t already guessed, he chose chemistry. With skiing still a huge part of his life, Galbraith purposefully attended graduate school in Georgia; there, he did not have the option to ski, which he knew would have been a distraction. Now, his only wish is that Marist was located somewhere in the mountains of Utah or Wyoming. Today, Galbraith is very happy with his decision to become a professor and does not regret anything. While he still skis for fun, he is very happily committed to his job teaching chemistry. Dream on, chemistry nerds. Dream on.